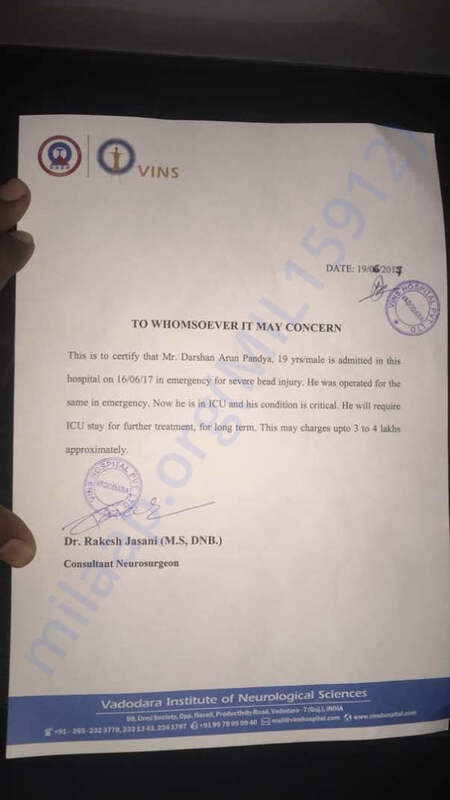 Darshan Arun Pandya a 19 year young guy met with an accident while coming from Parul university and has gone into a very severe head injury and is in ICU fighting for his life. His financial condition is not such that they can afford the medical treament of 20 thousand per day to save Darshan. 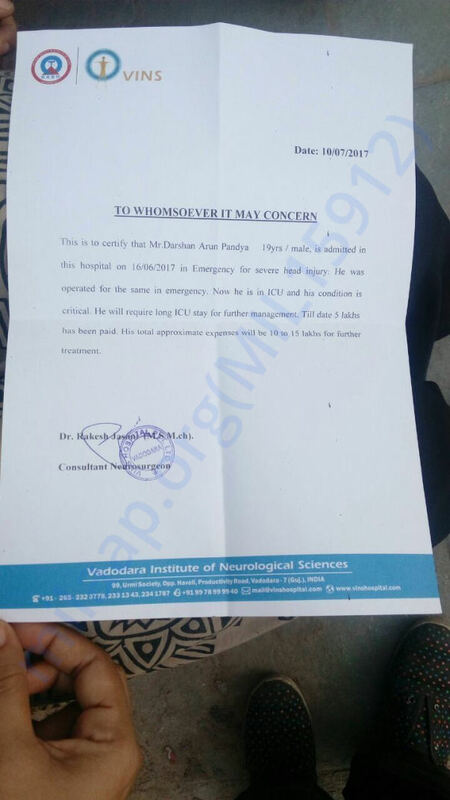 He is admitted in VINS (Vadodara Institute of Neurological Sciences). 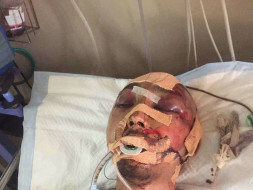 Please help us to save lives as you have been helpful in supporting my campaigns for cancer patients, burned patient etc. Saving somone life is the biggest blessing one can have in his life. May his soul rest in peace and god bless. Darshan is recovering well and has been shifted to HDU after ICU. His hand movements and eye movements have improved a lot. The expense toll is still the same 15000 to 18000 per day and is in need of help and support from you all. Thank you for the love and support all of you have shown. Darshan has been shifted to HDU from ICU his medicine cost is still very high.We can see various moments and gestures. We all have hopes that he would recover soon and come back in his senses.